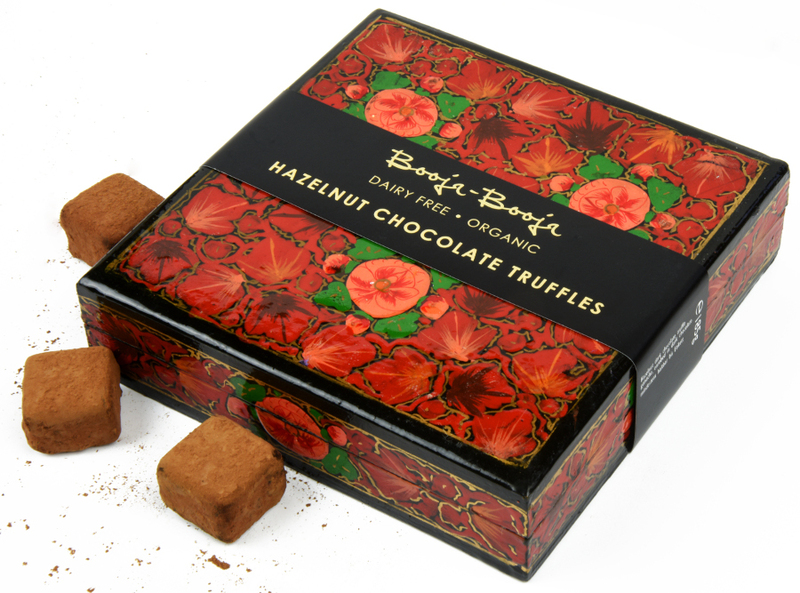 Award winning hazelnut truffles from Booja Booja, presented in a gorgeous gift box that has been hand painted by artisans in Kashmir using traditional techniques. 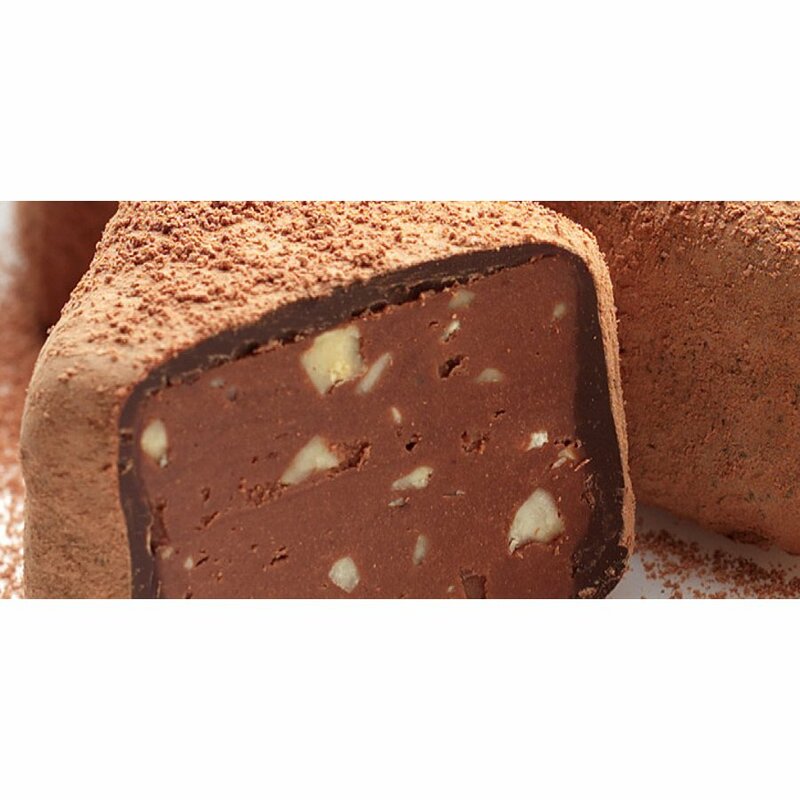 The vegan truffles are gluten free and made with organic ingredients, with a luxuriously soft texture they melt in the mouth. Booja Booja is a UK company with a refreshingly different mindset to its competitors; it strives to be minimal, renewable and of course beautiful! 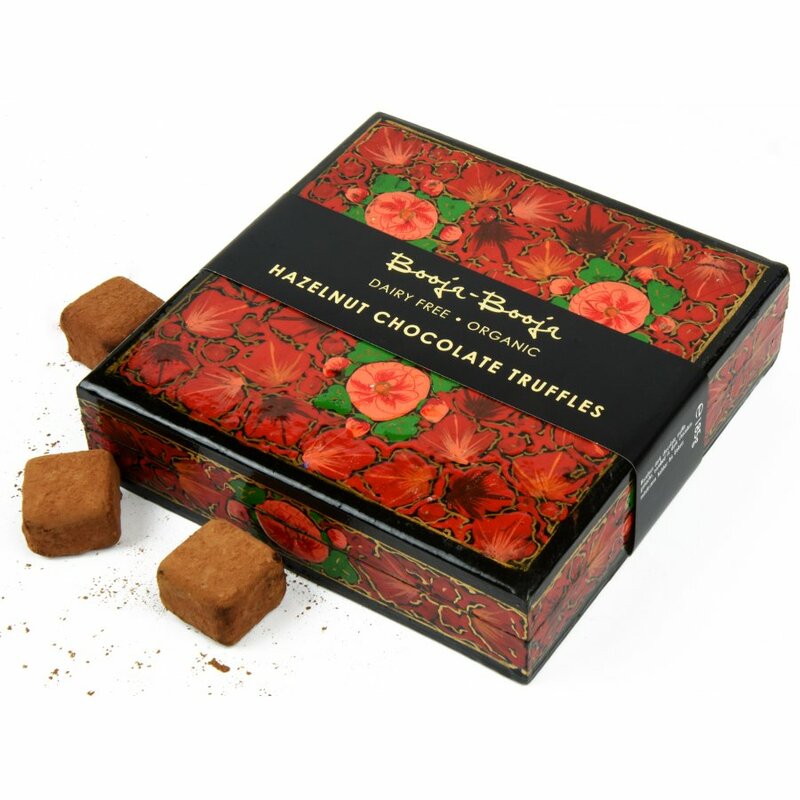 This independent manufacturer of organic chocolate truffles has much to boast about; it is the proud recipient of many an award, including Winner of the Organic Food Awards 2003, the Best New Organic Food Product 2003 at the Natural Product Awards, and the 2005 Award for best 100% Vegetarian Box of Chocolates from the Vegetarian Society for Gourmet Truffle Selection. All of Booja Booja’s products are organic; free of dairy, wheat and gluten, are suitable for vegans and vegetarians, and are GMO free. After all, as the company say themselves; “Everyone needs a little Booja-Booja – now and then”!